Jacksons | 1 bedroom property for sale in Sternhold Avenue, Balham, SW2 - £369,000 to find and add some properties. This stylish property has been fully refurbished and is ready to move into straight away, there is also the added benefit of a private entrance and no onward chain. Local amenities are available close by on Streatham High Road.This property is also within walking distance to Streatham Hill station which has very regular services to Clapham Junction, Victoria and London Bridge and is also close to Balham and Tooting Bec Common. A bright and spacious forth floor flat with private outside space situated within Du Cane Court in central Balham. 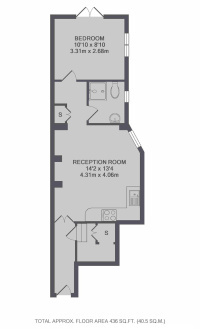 A ground floor flat measuring over 1000 Sq Ft located in central Streatham. The property has been extended to the rear with direct access to the garden.